The beginnings of the opera orchestra in Warsaw go back to the activity of the National Theatre, headed by Wojciech Bogusławski. At that time the opera company was headed by two renowned Polish composers and conductors: Józef Elsner and Karol Kurpiński. The latter also became the first director of the Teatr Wielki, opened in the year 1833. Subsequently the orchestra was directed by the eminent Italian conductor Jan Quattrini and Stanisław Moniuszko, the father of Polish national opera, and in our century by such conductors as Emil Młynarski, Artur Rodziński and Zdzisław Górzyński. After World War II began the laborious process of shaping and perfection of what was to become largest opera orchestra in Poland. This allowed the orchestra to take on variegated and ambitious artistic projects. The orchestra was conducted by leading Polish conductors, including Witold Rowicki, Bohdan Wodiczko, Jan Krenz, Jerzy Semkow, Mieczysław Mierzejewski, Henryk Czyż, Antoni Wit, Jerzy Maksymiuk, Bogusław Madey, Antoni Wicherek, Robert Satanowski, Kazimierz Kord, Grzegorz Nowak, Andrzej Straszyński, Tadeusz Wojciechowski and Jacek Kaspszyk, Gabriel Chmura, Tadeusz Kozłowski, Łukasz Borowicz i Wojciech Michniewski. 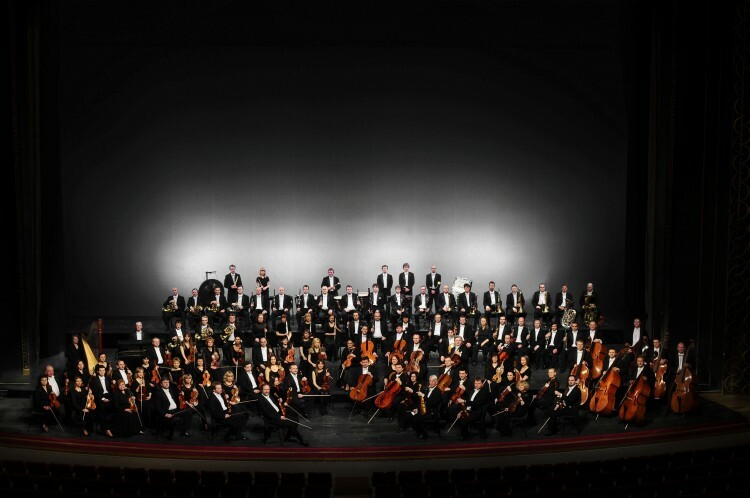 The orchestra also performed many times under the direction of such eminent foreign conductors as Nello Santi, Alberto Zedda, Heinz Fricke, Hans Svarovsky, Gerhard Geist, Dzhansug Kachidze, George Alexander Albrecht, Werner Seitzer, Michael Zilm, Siegfried Köhler, Elio Boncompagni, José Maria Florencio Júnior, Tiziano Severini, Enrique Diemecke, Paul Connelly, Chikara Imamura, Marc Minkowski, Modestas Pitrénas, Andryi Yurkevich, Friedrich Haider, Kristjan Järvi, Carlo Montanaro, Valery Gergiev. The orchestra went on a series of tours abroad playing opera and ballet performances, as well as symphonic concerts. It visited various cities, including Berlin, Bonn, Bregenz, Brussels, Bucharest, Lisbon, Luxembourg, Madrid, Monte Carlo, Moscow, Paris, Sofia, Tel-Aviv and recently also in Japan. It also participated in music festivals in Xanten, Carcassonne, Thessaloniki and the Mai Festwoche in Wiesbaden, where it received the Golden Quill in 1972 for the performance of Verdi’s “Othello” under the direction of Jan Krenz. The orchestra made a number of recordings, including Beethoven’s 9th Symphony, Brahms’ 2nd symphony, Stanisław Moniuszko’s “Halka” and “The Haunted Manor”, Modest Mussorgsky’s “Boris Godunov”, highlights of Giuseppe Verdi’s “Il Trovatore” and Charles Gounod’s “Faust” and others. It also played numerous symphonic and oratorio music concerts, performing works by such composers as Mozart, Rossini, Beethoven, Brahms and Mahler.